The PA loses $350 million per year because of Israel’s violations of the Paris Protocol, a report presented to the UN yesterday has revealed. A large portion of this money is lost via unpaid taxes on Israeli economic activity in “Area C” of the occupied West Bank. The report estimates that this accounts for 35 per cent of the Palestinian budget deficit, with Palestine missing a total of $360 million in unpaid taxes since 2000. Around 2,000 Israeli businesses or individuals profit from “Area C” in sectors including agriculture, fuel, gas, telecoms and electricity. Although prior to 2000 Israel collected taxes from these businesses and transferred the revenue to the PA, since then it has withheld these funds and not informed the PA about its commercial activities in the occupied West Bank. The Israeli Foreign Ministry, Finance Ministry, and Tax Authority all declined to comment on the revelations included in the report, according to i24 News. Israel often punitively withholds funds belonging to the PA. In July, Israel enacted a law to withhold part of the tax revenues it collects on the PA’s behalf to penalise the Authority for paying stipends to Palestinians jailed by Israel, their families, and the families of those killed by Israeli forces. 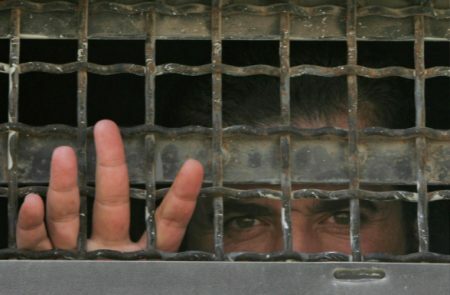 The PA decried the move, claiming: “This is a declaration of war against the Palestinian people and their freedom fighters and prisoners who sacrificed for the sake of Jerusalem and the establishment of an independent Palestinian state.” At the end of June 2018 there were 5,667 Palestinian prisoners being held in Israel Prison Service facilities, according to Israeli human rights organisation B’Tselem. The Israeli army has confiscated containers filled with clothes imported by Palestinian traders under the pretext that revenue from their sale is being channeled to Hamas, Israeli media reported. “The Israeli army has confiscated imported clothes containers and foiled a garment trade that Hamas benefited financially from in the Gaza Strip and the West Bank,” Israel Channel 14 said. The Palestinian Islamic Jihad movement (PIJ) elected Ziad Al-Nakhleh as the new Secretary-General of the movement inside Palestine and abroad, replacing the former secretary Ramadan Shalah whose health situation has triggered concern. The movement has also elected new members of its Political Bureau, and the details of the elections will be revealed during a press conference in the upcoming hours, according to Al-Khaleej Online website. Shalah underwent heart surgery at “Al-Rassoul Al-Azam” Hospital in the southern suburb of Beirut in April. The Palestinian Islamic Jihad then explained that Shalah’s health condition is stable, and revealed that he is subject to close surveillance. Unconfirmed reports pointed out some suspicions which indicated that he was poisoned by Israel’s intelligence service, the Mossad. Al-Nakhleh was born in Gaza Strip in 1951. He began his political career in the Islamic Jihad in 1982, along with its late founder Fathi Shaqaqi, and played an essential role in forming the military wing of the movement, known as Al-Quds Brigades. In 1986, the Israelis exiled Al-Nakhleh to southern Lebanon, and he remained there until 1994 when he moved to settle in Beirut. In 1997, he was appointed Deputy Secretary-General of the Jihad Movement, after the Israeli intelligence service, Mossad, assassinated the founder of the movement, Shaqaqi, in Malta. More than 60 Palestinian civil society organisations yesterday sent a letter to the United Nations Secretary-General António Guterres stating that the Palestinian Authority (PA)’s President Mahmoud Abbas “had lost his legitimacy”. According to Safa news agency, the Palestinian organisations attributed their claims to article 36 of the Palestinian Basic Law of 2003 and its amendments in 2005. Based on the Palestinian Basic Law, the rights institutions stressed, Abbas has to run for another presidential election to be able to renew his legitimacy or hand over the leadership to his successor. “Abbas has continued to hold the leadership on an illegal basis and with the support of the international community and the Arab states,” the letter read, adding that Abbas was now “powerless”. Abbas should have left office a decade ago however he had returned on a “de facto” basis, they said. “This has contributed to deepening the division between Palestinians and strengthening the constitutional and legal crisis that has raged on the Palestinian political scene,” the civil organisations explained. More than 3.1 million people visited tourist sites in the occupied West Bank in the first half of 2018, data from the Palestinian Central Bureau of Statistics (PCBS) has shown. Marking World Tourism Day yesterday, the ministry said 1.48 million tourists came from abroad while 1.65 million were local. The number of international visitors increased by 5.8 per cent compared to the first half of 2017. Palestinians residing in Israel accounted for the largest proportion of inbound visitors at 47 per cent with 694,000 visits, followed by arrivals from the United States at seven per cent with 110,000 visits, Russia at seven per cent with 106,000 visits, Poland at four per cent with 52,000 visits and Romania at three per cent with 44,000 visits. The figures do not take in to account tourists who visited the besieged Gaza Strip or occupied Jerusalem. The report added that the number of hotel guests in the West Bank reached 301,422 in the first half of 2018; they spent 893,890 nights in the occupied territory. When compared with the first half of 2016 and the first half of 2017, the number of guests increased by 55.6 per cent and 16 per cent respectively. An elderly man was injured after he was hit by a gas canister in his leg, while others suffocated from teargas inhalation, when Israeli occupation forces attacked the weekly nonviolent protest in the village of Bil’in, to the west of Ramallah, according to local WAFA sources. 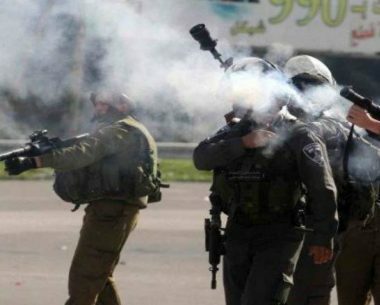 Israeli soldiers fired teargas canisters towards Palestinians who were partaking in a protest against Israeli settlements, injuring an elderly and causing many cases of suffocation among the protesters. 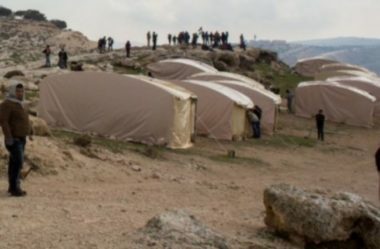 The Israeli army announced, Friday, the closure and siege on a Palestinian Bedouin community, in northern Jordan Valley of the occupied West Bank, so that groups of illegal colonialist settlers can tour in the area. 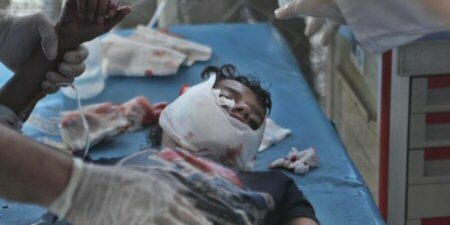 The military ordered a siege on Khallet Hamad from eight in the morning, until six in the evening, Friday. Local sources said groups of colonialist settlers, accompanied by soldiers, have already started their “tours” in the area, while the villagers were not allowed to leave their community. The sources added that such activities have been carried out several times lately, while the Palestinian shepherds were unable to even take their sheep to grazing areas. It is worth mentioning that, two years ago, Israel built an illegal colony on Palestinian lands neat the community. Al Mezan Center for Human Rights has expressed deep concern over the excessive use of administrative detention by the Israeli occupation authorities against Palestinian detainees. The Center reported, in a press release, that four Palestinians, of those who are administratively detained by the Israeli occupation, have launched a hunger strike in protest against the policy. Administrative detention is an archaic legal measure, dating back to the days of British Mandate Palestine, in which citizens are detained without charge or trial for periods of up to six weeks, the orders renewable indefinitely. The Center stressed, according to Al Ray, that administrative detention is a violation of international humanitarian law, which limits the use of this type of detention.